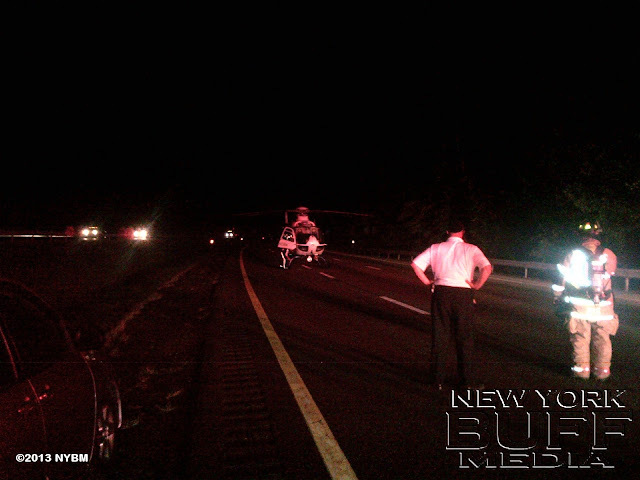 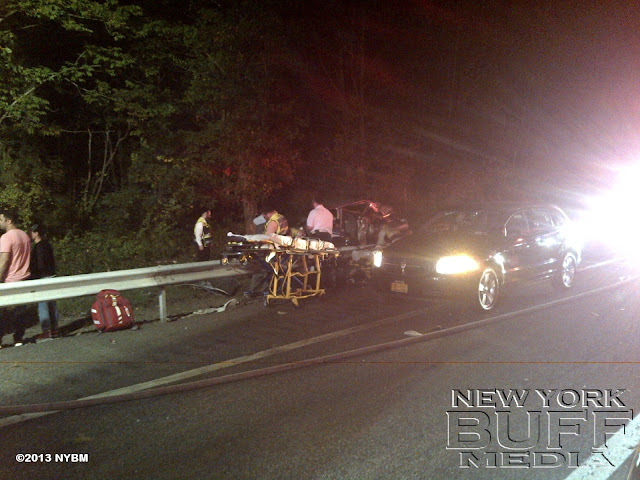 Tuxedo - On Monday, September 9, 2013, Troopers from Troop T SP Tarrytown, and Investigators from Troop F SP Monroe Bureau of Criminal Investigation, were dispatched to I-87 south in the Town of Tuxedo, Orange County, for a report of a two car motor vehicle accident with one fatality. The preliminary investigation revealed that a Chevrolet Venture was traveling slowly in the south bound lane and attempting to pull to the right shoulder with it’s 4 way hazard lights in operation. The tractor trailer was traveling behind the Venture and collided with the rear of the vehicle. 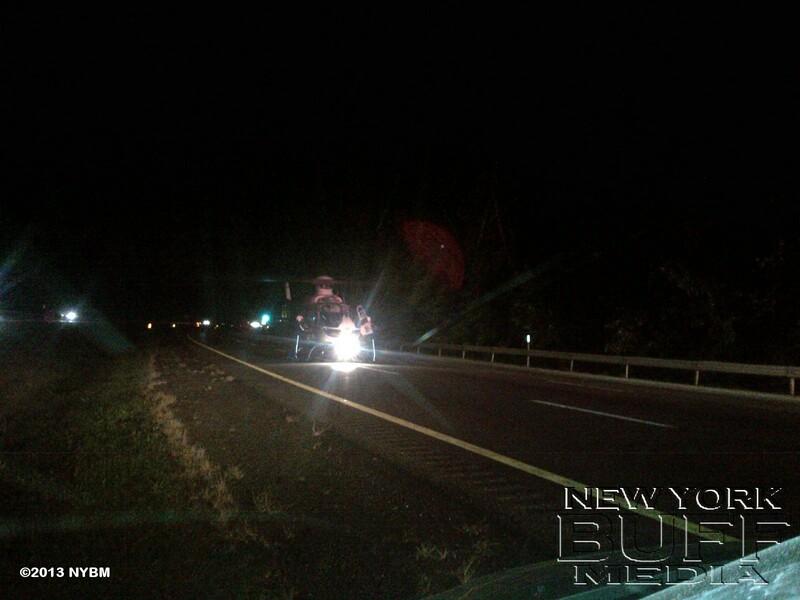 Both vehicles continued off the right shoulder and through the guide rail. 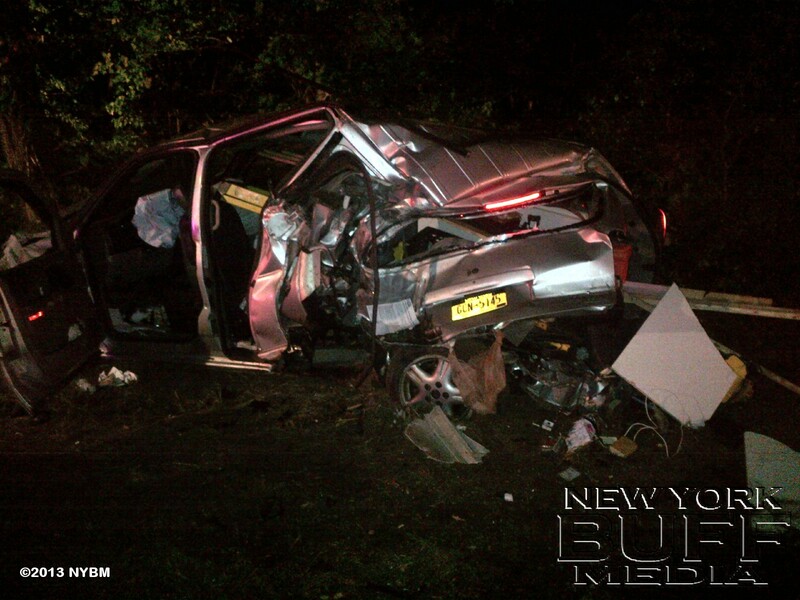 The Venture crashed into a tree and came to rest. 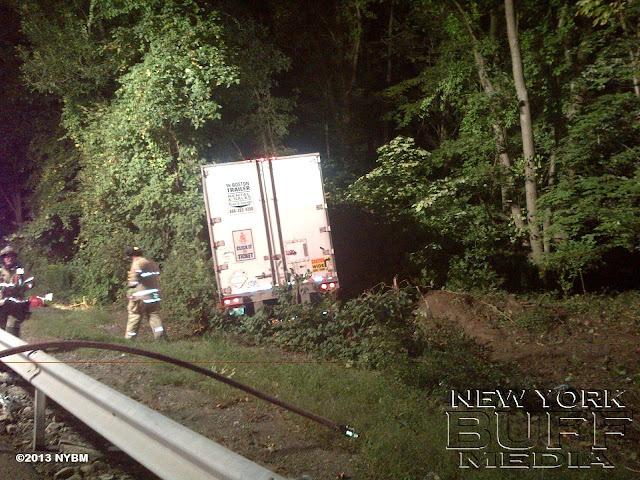 The tractor trailer continued into the woods, jackknifing into a tree. 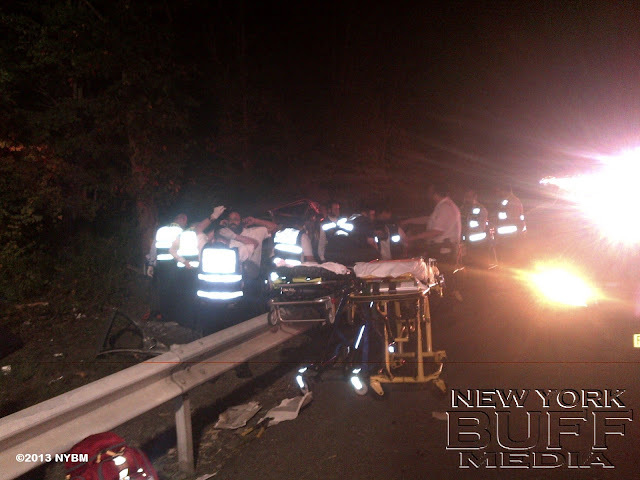 The driver of the tractor trailer, Quadir H. Holman, age 35, from Newark, NJ, was extricated by the Town of Tuxedo Fire Department and transported to Good Samaritan Hospital in Suffern, NY where he was pronounced deceased. 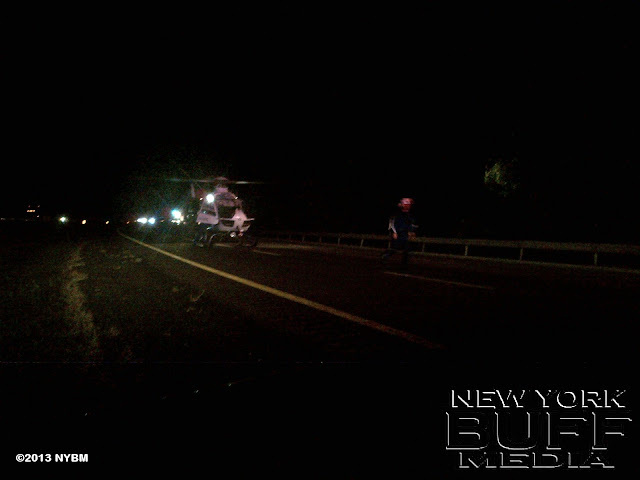 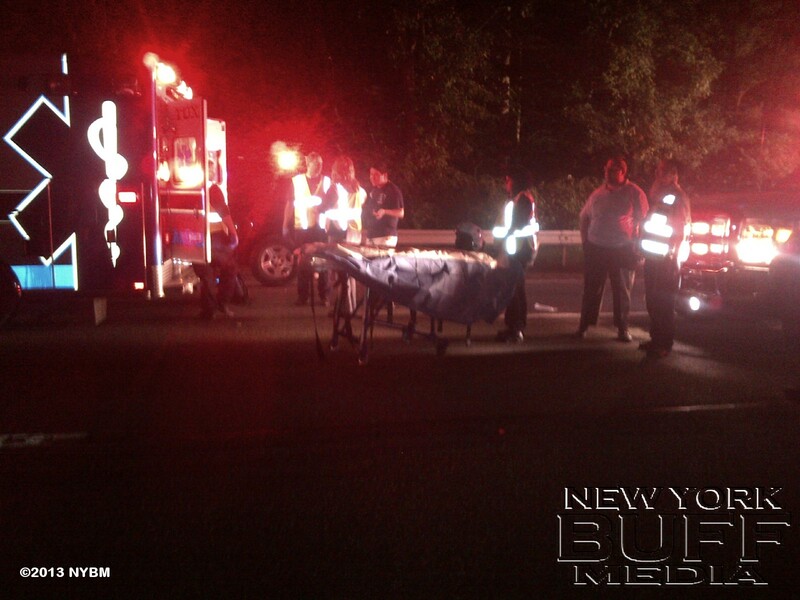 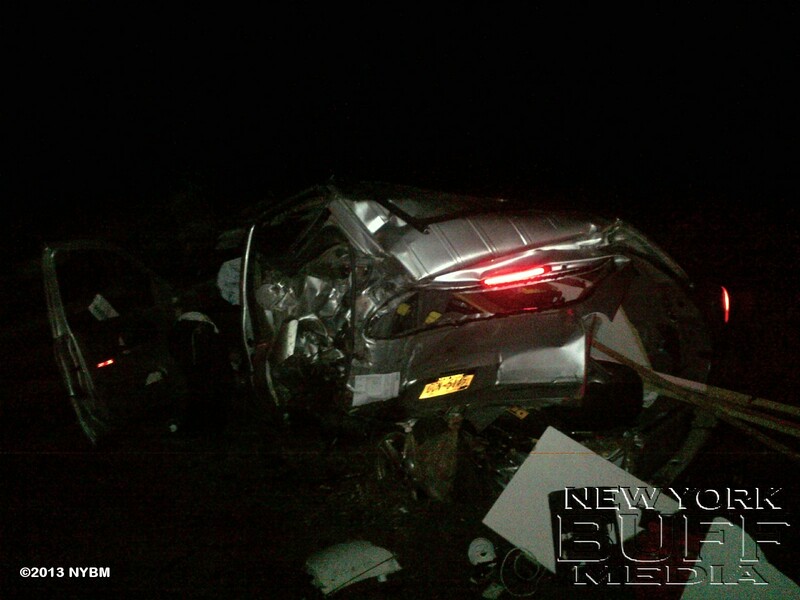 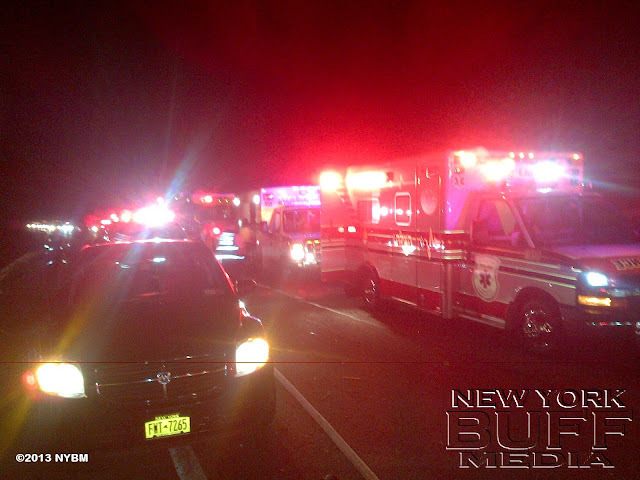 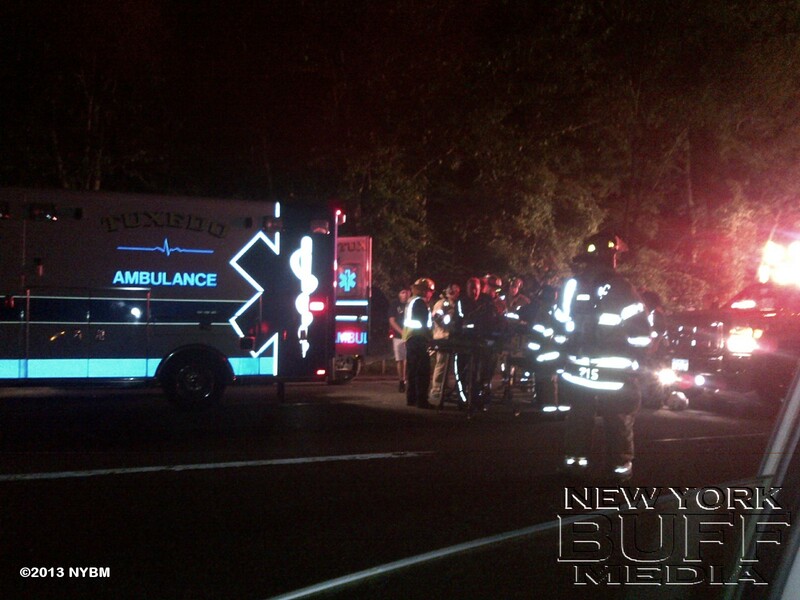 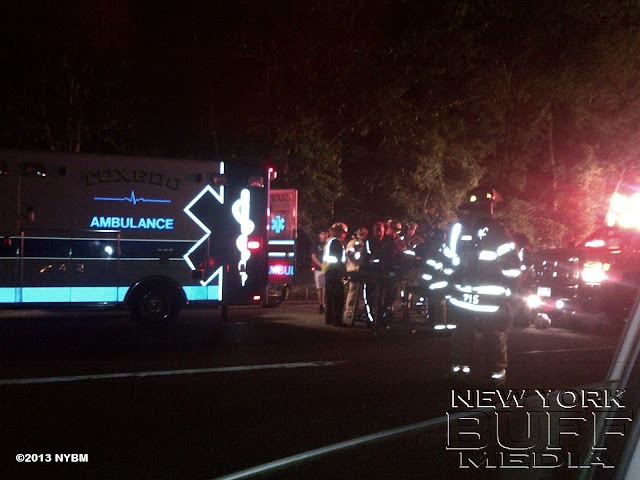 Two of the three occupants of the Chevy Venture were transported to Hackensack Medical Center in NJ by Hatzolah EMS where one was treated and released. The other, an eighteen year old male, from Monsey, NY, remains admitted. Hospital officials would not release his status. State Police Collision Reconstruction Unit also responded and processed the scene. 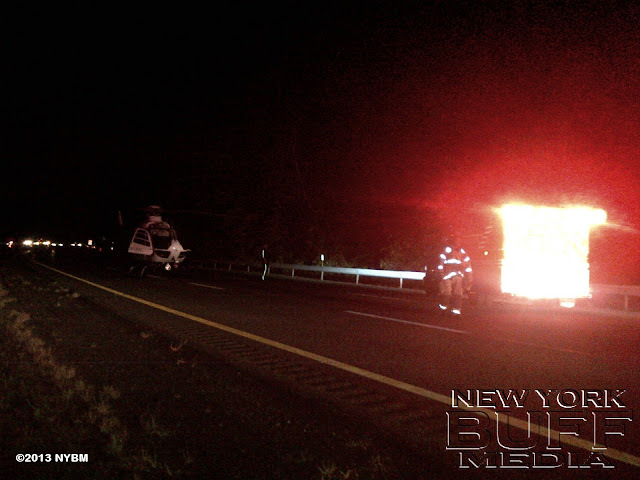 Two of the three lanes remain closed for a recovery operation of the tractor trailer.